Have you ever felt totally overwhelmed with making a decision? I’m not talking major life decisions, like if you should get married or if you should quit your day job to sell your amazing crocheted pot holders online full-time. I’m talking everyday decisions, like what to order at a restaurant when everything on the menu looks super yummy, or what outfit to wear, or what task on your to-do list to tackle next. Making these seemingly simple decisions can sometimes feel overwhelming for one simple reason, we have TOO MANY choices. We stare at all the yummy menu items and then choose the same thing we choose every time because that’s easier. 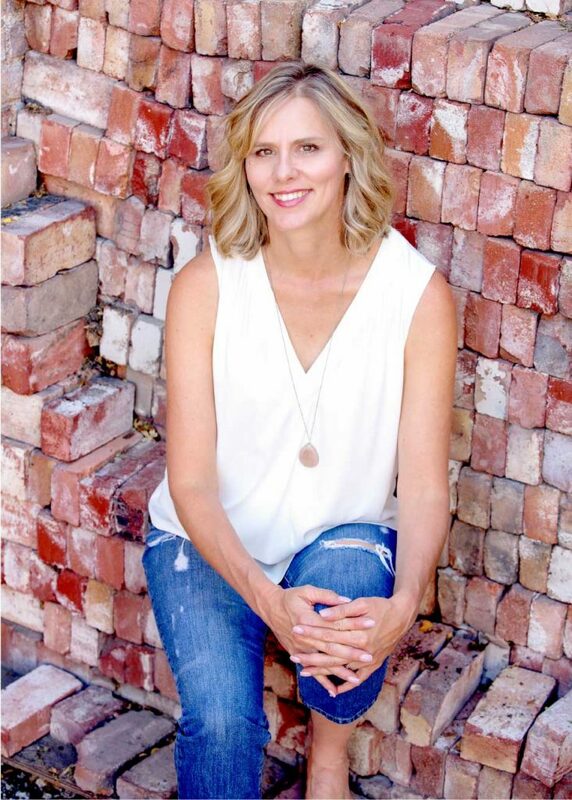 We throw on our favorite jeans and t-shirt (again), or choose the easiest item on our to-do list, so we never have to tackle the yucky stuff, whether that’s social media, blogging, or even cleaning the toilet. 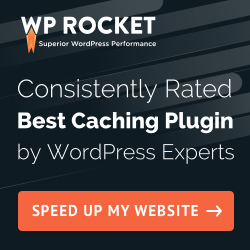 By getting completely overwhelmed by all of the options, we avoid making any kind of decision at all or choose the easiest, least painful route. Decision making difficulty (that’s a tongue twister) often comes from having too many choices and feeling totally overwhelmed as a result. It’s WAY easier to order off of a one-page menu than it is to order from one of those binder style menus many chain restaurants have. Just like the simple restaurant menu that’s easier to use, simple web design is also easier to use, and that’s the point. Simple doesn’t mean your website is less sophisticated, less elegant, less anything. It means its easy for your visitors to use. And with all the noise in the world, simple web design that guides your visitors through the site is a breath of fresh air. On every single page, LIMIT the CHOICES you’re providing to your visitors. When people get overwhelmed with choices, they’ll take the easiest route. In the case of getting dressed, they’ll choose their favorites, but in the case of your website? If they get confused or overwhelmed, they’ll leave. They make their homepage try to do everything. What should a homepage do? It should tell your visitors what you do and guide them to take the next step to find out more. How do you do this? 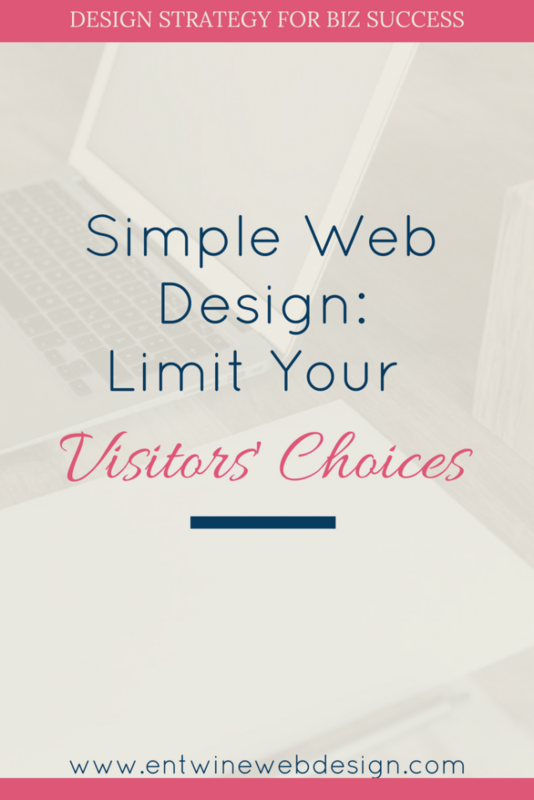 You give one or two options and avoid overwhelming your visitors with choices. 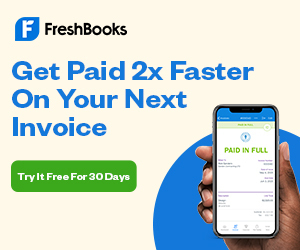 Give them a maximum of TWO choices on each page. Ideally, you’ll have ONE option which you guide your visitor to complete. How do you decide on this option? You figure out your website goals. Decide on the ONE most important thing for your visitor to do. For example, let’s say your ultimate goal is to get your visitor to contact you or fill out a contact form to set up an initial consult. That’s a great goal, but it’s also a bit of a commitment. Right when we meet someone, we don’t say, “Hi. Nice to meet you. What time can I pick you up on Saturday?” That would be weird and awkward and whoever we were talking to would understandably hesitate and probably decline. Instead, we chat a bit. Get to know one another. Get them to “know, like, and trust” us before we ask for a date. Think about the best way to get them to reaching your goal. If they land on your homepage, don’t send them directly to your contact form. Link to your Work With Me/Services page where you explain what you do and how you work. Or, link to your About page. Then, link to your consult form. Or, from your homepage, link to your portfolio so you can show them what you do. It’s your job to walk them through the steps YOU want them to take, but you can’t do that if you’ve provided fifteen forks in the road. How do they get to where you want them to go? They don’t, so build that trust and don’t overwhelm them with choices. 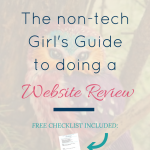 Obviously, there is a menu that will provide an additional 4-7 options, but I’m talking about the calls to action, the specific links in the page content that guides a visitor through. 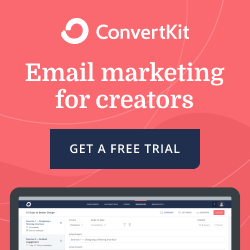 Email optins, or forms to subscribe to a newsletter or freebie, also serve to build trust. If somebody fills out the form and opts in to your list, you have the opportunity to then build a relationship with them. These also provide another choice for your visitor. When I said you could have two to three options for a visitor, an email optin is ONE of those options. First, identify your site’s overarching goal and think about the options you’re providing on each page to guide your visitors to reach that goal. Second, look at your website, especially your homepage, or if you’re in the planning stages, make sure you’ve limited the choices you’re providing your visitors. Third, avoid making a page do ALL THE THINGS. It’s overwhelming. Remember simplicity. White space, or empty space for the eye to rest, is a good thing in design and on a website. You can have a gorgeous vibrant and also simple web design that functions as you want it to. 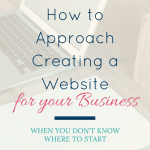 Check out your site and what’s one step you can take to simplify your website and guide your visitors to their goal? Leave your thoughts or any questions in the comments. I promise I’ll respond.